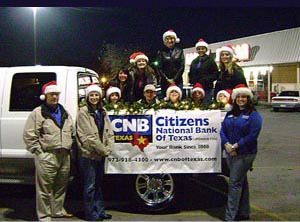 An important advantage of a hometown, independent bank like CNB of Texas is that it is committed to investing back into the communities it serves. 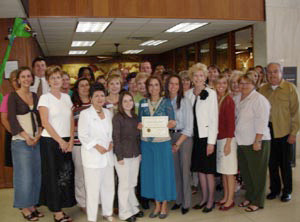 That reinvestment is not only in mortgage, business or personal loans, it also means a strong dedication to volunteerism by employees and building a better lifestyle through strong community involvement. 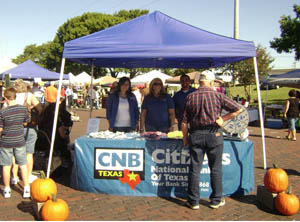 Putting money and resources back into community and goodwill programs and having the backbone to stand up for what is best for our communities, is a trademark of CNB of Texas. 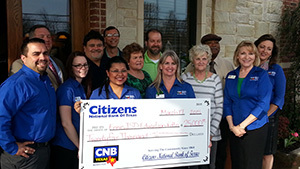 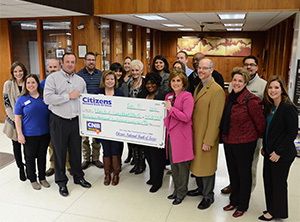 CNB donates $1,000.00 to the Friends of the Weatherford Library.